What is National Press & Magazine Advertising? 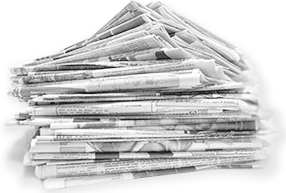 National press & magazine ddvertising is a form of above the line advertising which involves placing ads in national or local press media. Whether it’s a newspaper, magazine or trade publication, press advertising can achieve huge reach on both a local and national scale. National newspapers alone are purchased by over 6 million adults daily and read by over 12 million – that’s more than 1 in 4 of the UK adult population every single day. Lavery Rowe Advertising has nearly 40 years’ experience creating impactful direct response national press & magazine advertising campaigns and can help develop your campaign strategy, setting clear key performance indicators (KPIs) against which the performance of your campaign can be measured. Lavery Rowe can design your press ads, write the copy, plan and book the media and help you measure and interpret the results. Lavery Rowe places over 11,000 direct response press ads every year. As one of the UK’s largest buying points of press advertising space we use our immense buying power to save you money. Whatever your marketing objectives are, whether driving web traffic, telephone enquiries or postal response or driving sales through retail, Lavery Rowe has 40 years of press advertising experience to help you achieve your goals. Looking for a Press Advertising agency? Get in Touch! Why use National Press & Magazine advertising? IT WORKS –whether the objective is linear direct response, driving traffic to web, driving retail sales or building brand awareness, press advertising works – we see it every day in results and we see it in independent research. IT’S LOW RISK –testing press has never been more affordable. IT’S WELL TARGETED –whether targeting the mass-market, mid-market or up-market, newspapers offer cost effective access to a 45 plus readership with money to spend. Combine these with women’s weeklies or specialist magazines for more precise targeting. IT’S IMMEDIATE –with copy deadlines as short as 1 day and no requirement for lengthy pre-clearance of copy you can decide that you want to be in tomorrow’s national newspaper today (and some clients do!). IT’S AVAILABLE 365 DAYS A YEAR –national press and magazine advertising media is always available. If you miss one there’s always another one coming along soon!